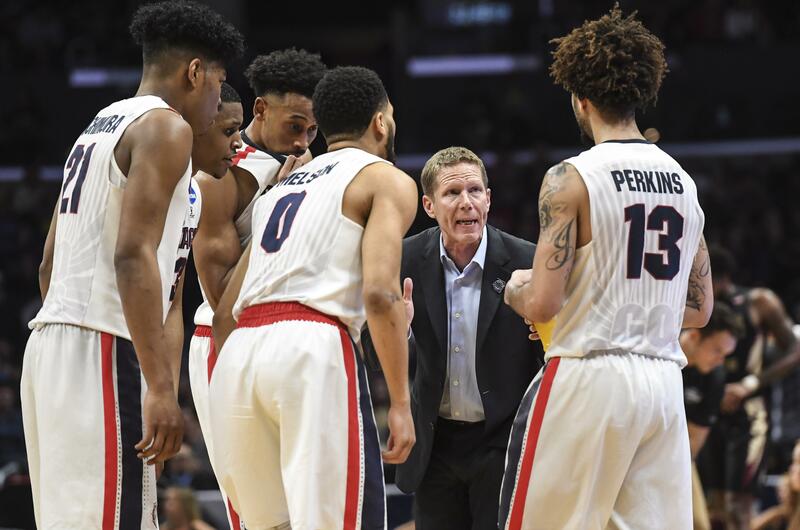 Gonzaga’s Mark Few is one of nine coaches selected to assist head coach Gregg Popovich at the U.S. national team’s minicamp in Las Vegas later this month. Few and Villanova’s Jay Wright join NBA assistants Mike Brown (Golden State), Dan Craig (Miami), Alex Jensen (Utah), Jay Larranaga (Boston), Jamahl Mosley (Dallas), Ime Udoka (San Antonio) and David Vanterpool (Portland). The camp runs from July 25-27. It will mark the first time candidates will be together in preparation for next year’s world championships and the 2020 Tokyo Olympics. The 35-man roster, including 11 who helped the U.S. win Olympic gold in 2016, is loaded with stars, including LeBron James, James Harden, Kevin Durant, Russell Westbrook, Stephen Curry and former Washington State Cougar Klay Thompson. The roster would be trimmed to 12 if the U.S. qualifies for the World Cup and the Olympics. Published: July 6, 2018, 10:21 a.m. Updated: July 6, 2018, 4:03 p.m.